If you missed part 1 and part 2 of our long weekend trip to PA, check those posts out first! We drove back to DC from Pittsburgh on Sunday, but before we did, we kicked off our day with a nice brunch with Matt’s parents. French toast + bacon + hard boiled eggs + watermelon. It was nice enough to sit outside and Riese was napping so we took advantage! It took us ages to get packed up and ready to leave (shocker… everything takes so much longer with a baby in the mix! ), so by a couple hours later I figured I might as well get in a little movement and fresh air before sitting in the car the rest of the day. Matt was helping his dad with some stuff around the house, so just Riese and I headed out for a short stroller jog. We probably only did about 1.5 miles but I was SO sweaty – it had really warmed up out there! 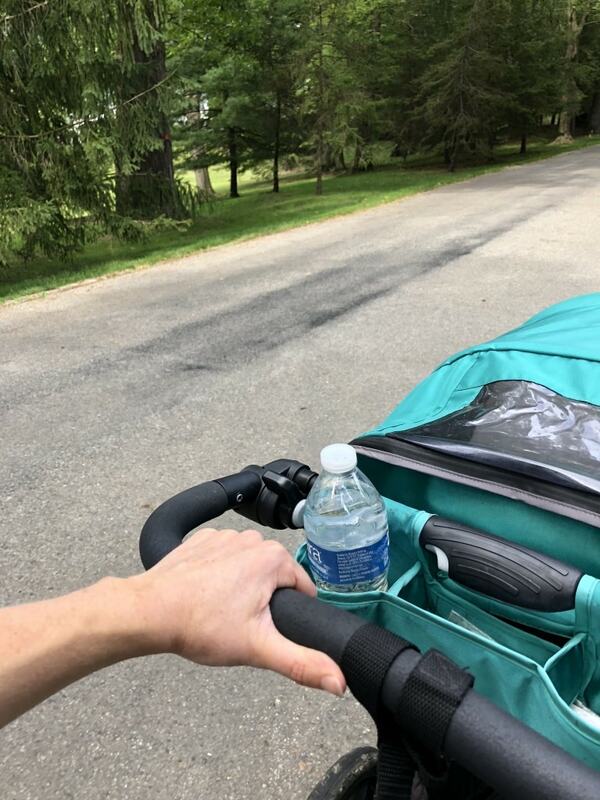 Plus, running with the stroller is sooooo hard (especially when hills are involved) – I don’t know how so many of you guys do it! When I got back we decided we might as well have lunch before leaving because by this point we were hungry again – so much for pushing off after brunch! Lol. There was so much delicious food leftover from the BBQ that needed to get eaten, anyway! 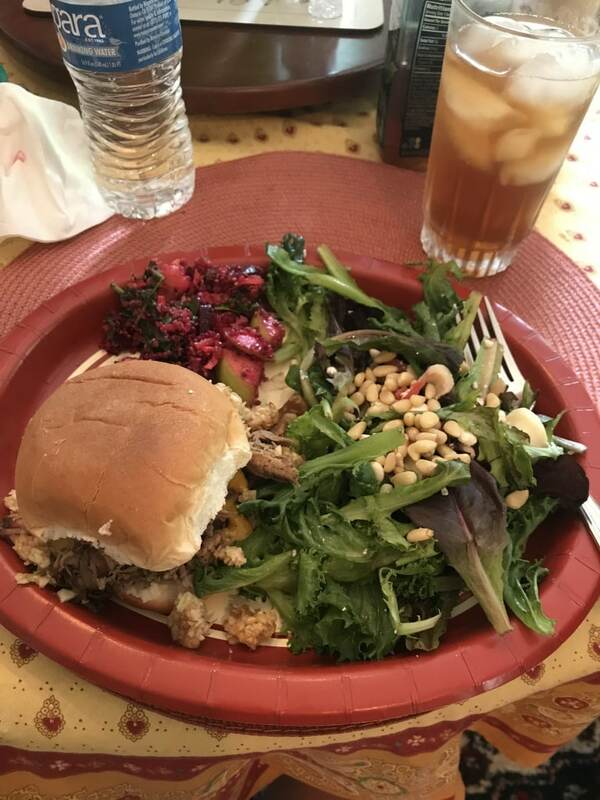 I had a pulled pork and slaw sandwich plus some salad and leftover beet quinoa apple salad from the farmer’s market. Sure beat rest stop food! We finally got ourselves on the road around 3:30 after our late lunch. 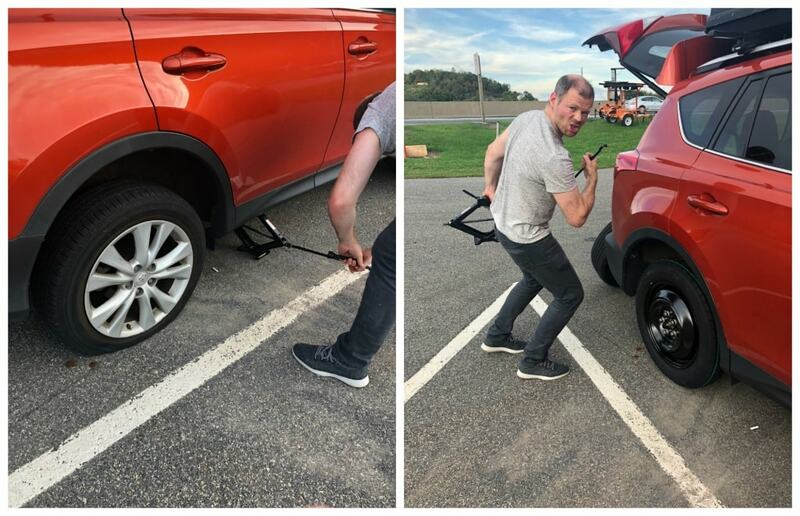 About an hour and a half later, we were cruising along on the Pennsylvania Turnpike and we got a flat tire. Fail! Luckily it was pretty ideal in terms of the flat tire situation – it was still light out, the weather was lovely, AND we got the flat right at a turnoff point for the state police, so we were able to very quickly pull off into a parking area vs. just being on the side of the highway. The state police office even had a public bathroom – win! We also happened to pull off right by the Turnpike patrol office, so we had plenty of help in the case we needed it. Matt knows how to change a tire, though, and we had a spare and a jack in the back so we were all set. Riese and I supervised and walked around a bit while Matt got us all fixed up. Go Matt! We got home around 9:30 and crashed pretty much right away! Riese was not excited about being woken up (she had fallen asleep around 7:30 in the car), but thankfully after a little nursing sesh she went back down for the night quickly. Have a great day and I’ll see you guys back here on Thursday for some eats and exercise from the week! Don’t forget to comment on my Sheet Pan Maple Curry Chicken recipe post to enter my giveaway to win some organic maple syrup if you haven’t already – it ends tonight at midnight! p.s. In case you missed it, there was a new marathon world record set at the Berlin Marathon over the weekend! Average pace per mile: 4:38. Omg. Insane, right?! Runner’s World did a cool write up featuring all the stats – check it out! Wow, I’m literally in awe…I can’t imagine running 1 mile at that pace, let alone 26.2!! I hadn’t heard that news! But you made it safe and sound, and that is what matters! Haha yeah, we could not get it together to get out the door! Although the flat tire was not ideal and you all got a late start, I sure love your positive outlook! 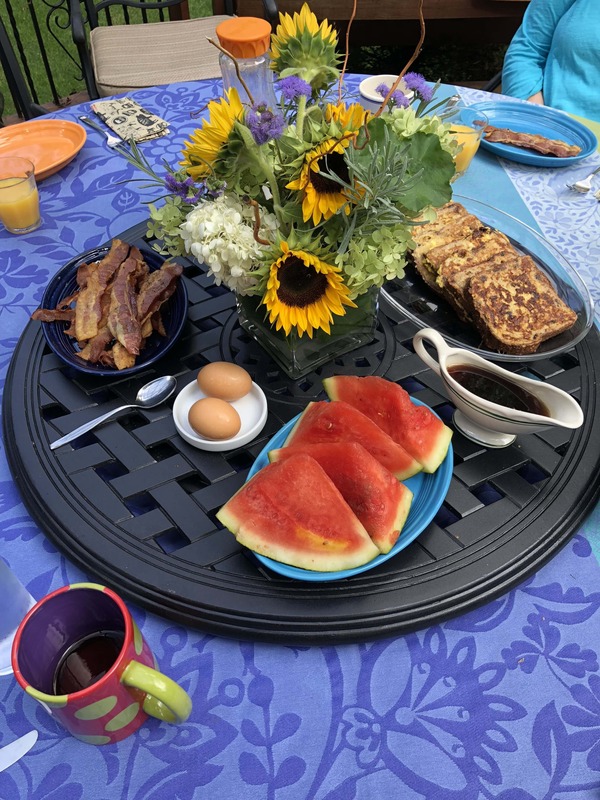 The food indeed looked amazing and beat rest stop food fare, the flat tire occurred at a safe place, and you all really made the most of your travels back home. :) I hope you have a lovely day, Anne!